We all start somewhere... why not start somewhere nice? While not home to the Gold Coast or Hawaii, Europe has some pretty epic surfing hotspots which could well and truly give others a run for their money. Unless, of course, you want to walk around in boardshorts and cool down with fresh coconut in between sessions. Then just go to Hawaii. We’re a unique continent in that just a few hours on a plane could be the difference between needing a 6mm hooded wetsuit or a spring shorty! Luckily, flights within Europe can be quite cheap if booked in advance or during off-peak times, so we’ve tried to produce a list of destinations accessible to the everyday surf and travel junkie on a budget. Formerly a quiet fishing village, Taghazout is now renowned for its ample surf spots. From calm beginner waves to heavy reef breaks for more advanced surfers, Taghzout is a year-round hotspot, helped by reasonable Moroccan prices. Plenty of surf retreats are available, where you can learn to surf in small groups – a great idea for solo travellers. Otherwise, there are plenty of surf schools, surf shops and surf camps where you’ll have no problem finding a board and some lessons. Sun, sea, sangria – what more could you want? Situated in the Basque Country, San Sebastian has long been favoured by surfers, and is the setting for dozens of local and international competitions over the summer months. The mountains either side of La Zurriola surf beach make for great views when hanging around on your board, and you’ll find several surf schools where you can sign up for a full course or simply hire a board. The area is packed with bars, pubs, restaurants and shops – leaving plenty of time to soak in the sunshine and enjoy a local beer or two. It may now be famous for the Rip Curl Pro WSL surf contest held every October, but Peniche’s long beach break offers ideal waves for beginners. With a 3km stretch at Cantinho de Baia, you can be sure to avoid busy line-ups and get into the swing of things in your own time. Lining the beach are a number of surf shops and schools, as well as campsites if you want the ultimate surf adventure! With some of the UK’s finest weather conditions, sandy beaches, and relaxed seaside villages, it’s no wonder Cornwall is the surf capital of the British Isles. Alongside the infamous Fistral Beach lies the International Surfing Centre, as well as many other British Surfing Association (BSA) approved schools in and around the area. Cornwall has lots to offer, with a variety of backpacker hostels and surf cafes filling the buzzing streets. Top tip: grab yourself a scoop of delicious local Cornish ice cream for a post-surf snack! Bundoran in Donegal has in recent years become one of the country’s most prominent surf hubs. Its countless beach and reef breaks have attracted travellers from near and afar, and it’s the perfect place to learn the ropes of surfing. Tullan Stand’s long stretch of golden sand means it’s never too busy, and Bundoran itself is awash with surf schools offering weekend boot camps and single classes for beginners. Slightly further north is another surfer’s paradise (albeit not quite the Aussie’s version), Rossnowlagh. One of Ireland’s first hotspots which even hosted the European Surfing Championships back in 1985. This beach break offers perfect conditions for beginner surfers, improvers and longboarders alike. Any other surf hotspots you think we should include? Hit us up on Facebook or Instagram! 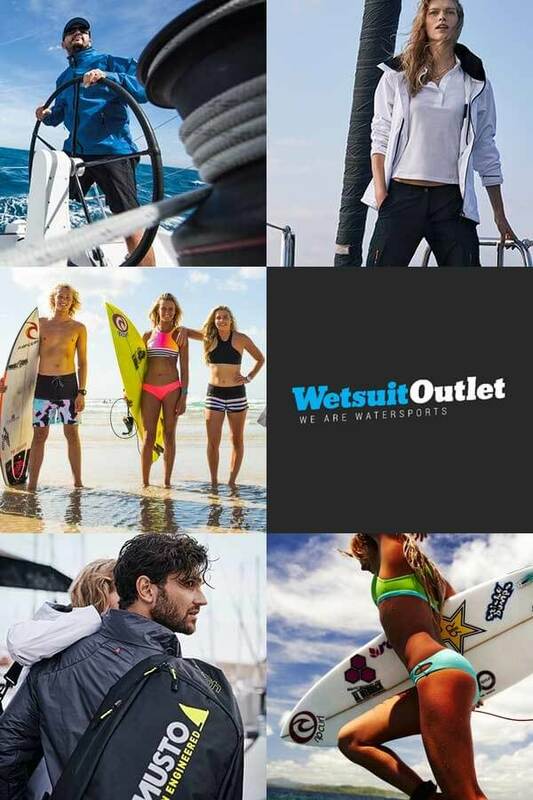 Shop our collection of wetsuits here.